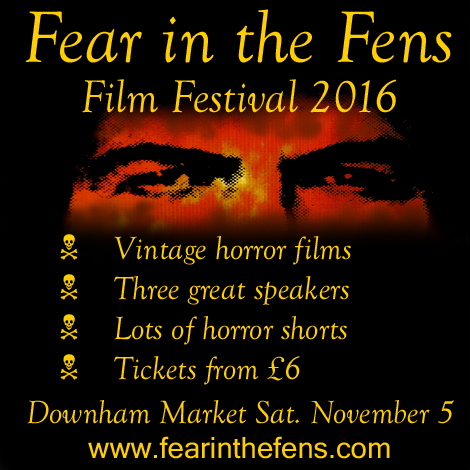 This afternoon I was interviewed by Stephen Bumfrey on BBC Radio Norfolk (scroll to time signature 3.11.06), alongside Chris Lewis and Gavin Baddeley about my forthcoming talk at the ‘Fear in the Fens’ Film Festival on 5 November. I will be speaking on ‘Witchcraft in East Anglia’ in order to introduce a screening of the 1968 film Witchfinder General, which was famously filmed on location in East Anglia and presents an historically inaccurate portrait of Matthew Hopkins and his witch-hunt of 1645-47. I will be telling the story of the real witch-hunt and pointing out some of the historical errors in the film. but will you be wearing a hat as stylishly as Vincent Price? This entry was posted on October 25, 2016 by jacobite.